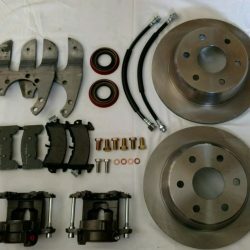 Upgrade the brakes on your full float GM corporate 14 bolt axle with stud-mounted drums with this disc brake conversion kit! Whether you’re upgrading the drum brakes on your old pickup’s rear axle, or adding disc brakes to 14 bolt axle for a project vehicle, we’ve got you covered. And you’ll love your 14 bolt disc brake setup when the project’s done. 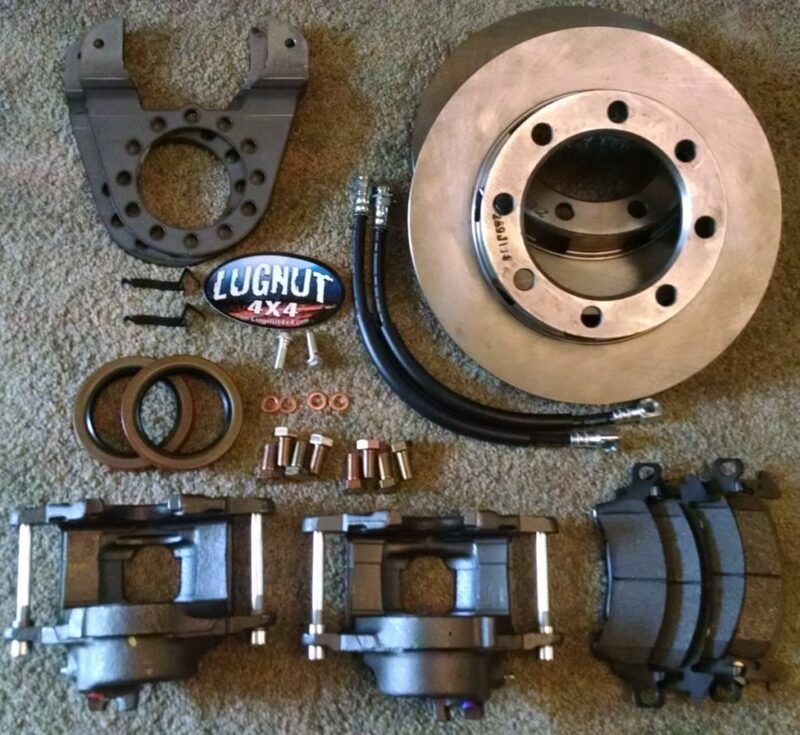 Every Lugnut4x4 disc brake conversion kit includes all the parts you need to convert your drum brakes to disc. All you need are the appropriate tools, brake fluid, and a little elbow grease. 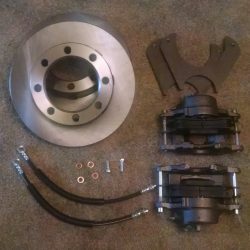 This 14 bolt axle drum brake conversion kit is for full float axles with a stud mounted drum. The stud-mounted drum was the only option available on the GM corporate 14 bolt axle between 1973 and 1987. Then, in 1988, a new “slide-on drum” style of axle was offered (our kit for slide-on style 14 bolt axles is here). However, the stud mounted drum was available on select models all the way up to 1999. Please note: You can buy our 14 bolt disc brake mounting brackets as part of this kit, or you can buy the brackets by themselves here. Also, if you need an 18″ braided stainless steel brake hose, we do not offer them with this kit. 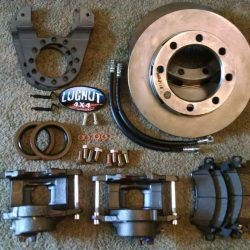 Instead, order this 14 bolt disc brake conversion kit without brake hoses, and then add the 18″ stainless steel hoses here. Anyone with a basic understanding of brake systems will find the installation simple. Our only bit of advice: The rotor goes on the backside of the hub. Also, we include and instruction sheet and a part number list in the kit. That makes ordering replacement parts easy. Great kit. Easy install, everything fit very well, quality parts, and fast shipping. Kit is cheaper than anything I could find including piecing it together myself. Money well spent!